Freight brokers at Direct Drive Logistics coordinate your domestic and international shipments. Direct Drive Logistics, through our own fleet of freight trucks and a wide network of motor carriers, gets your freight shipped quicker and more efficiently than any other logistics company in the US. Why? Because, as a reputable 3PL company, we manage every aspect of your shipping operation, ensuring things run smoothly from departure to destination. Our 3PL operations are supported by our own contingent cargo and primary insurance policies, meaning we don't have to outsource to a third party insurance company to handle freight claims. We are your one point of contact for all of your logistics operations. View more information regarding our insurance offerings. Direct Drive Logistics prides itself on cutting back costs by eliminating overhead and handling your supply chain management needs in-house. No other logistics company offers you a better customer service experience than Direct Drive. We have representatives standing by around the clock to ensure your shipments are made with no hiccups, and answer your call should you need to contact us. View dimensions for our shipping containers for a look at how we can move your heavy cargo. Direct Drive Logistics provides immediate brokerage services for shippers and carriers in need of expedited freight services. We pride ourselves on finding the right owner operators for every job, and getting every owner operator a high paying load to make the most of their time and shipping capacity. Your hot shot loads are in the best of hands with Direct Drive Logistics. 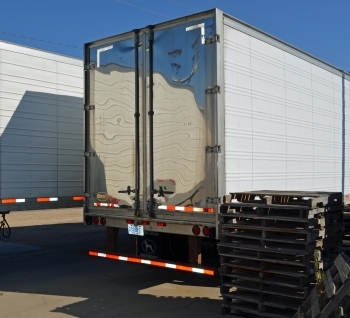 No matter the size of your expedited freight load, we can find an owner operator with the proper vehicle required to ship your freight for the least expense. Truck load brokers at Direct Drive Logistics coordinate freight carriers to find profitable LTL shipping solutions. Truck load brokers at Direct Drive Logistics minimize shipping costs by coordinating the right shipping containers for the right jobs. Cross-country LTL shipping, expedited or otherwise, is rarely, if ever, a point A to point B operation. Experienced dispatchers at our 3PL company have the ability to connect owner operators to the loads maximizing their profitability. Shipping budgets are typically regarded as a bothersome cost center for companies. However, the savings you’ll find working with Direct Drive Logistics make you think of your LTL shipping operations of less as an expense and more of a source of revenue. Contact truckload brokers at Direct Drive Logistics today for FTL and LTL shipping services.